Jo[hn] Rutse Bleecker, [untitled manuscript map of the Hudson and Connecticut River Valleys]. [Albany, 1745-1755?] . Manuscript in ink and watercolor on laid paper, 11 7/8"h x 16 ½"w at sheet edge. Lined with linen at an early date. 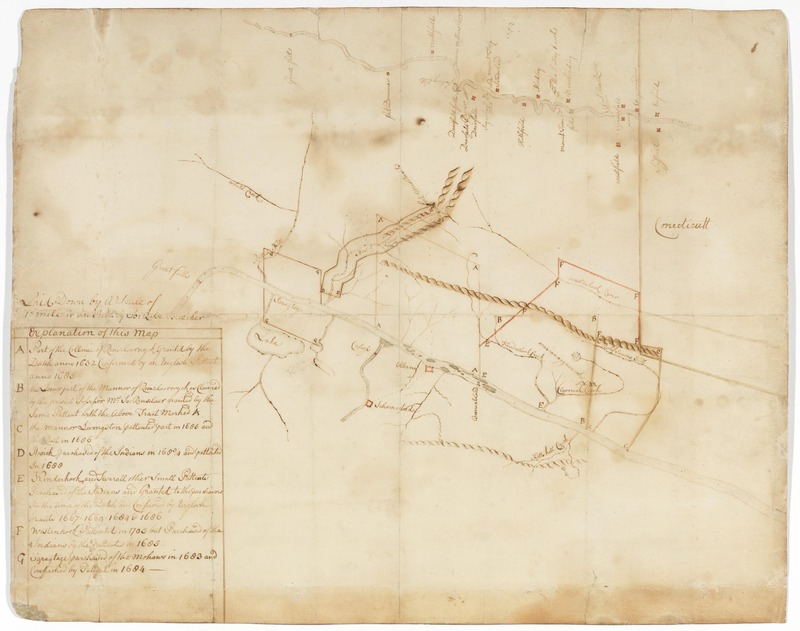 A most interesting manuscript map by John Rulse Bleecker, an influential Albany surveyor with connections to leading American and British mapmakers of the Colonial era. At 10 miles to the inch, Bleecker’s map focuses on the region straddling the Hudson River and bounded on the south by Claverack Creek and on the north by the Hudson’s westward bend above Saratoga. The coverage extends however well east to the Connecticut River in Massachusetts and present-day Vermont. With the exception of the Massachusetts lands, all these areas fell at the time within the then-enormous county of Albany. Major geographical features are represented in and around the Hudson Valley, with particular emphasis on the Taconic Range and the network of tributaries feeding the Hudson River. The geography of the Connecticut River is more schematic, a difference consistent with mapmaker Bleecker’s career as a Hudson Valley surveyor. The distinct land distribution patterns of New York and New England are highlighted by the contrast between the huge patents along the Hudson with the string of compact townships along the Connecticut, most occupied by tightly-knit communities of proprietors. The map lays out the boundaries of eight of these patents, with their histories summarized in a table at lower left. Of particular interest are the vast Rensellaer tracts, which were granted by the Dutch West India Company to Kiliaen van Rensselaer early in the seventeenth century and held by the family well into the nineteenth. This emphasis on patent boundaries explains the seemingly random inclusion of place “Beeren Island” on the Hudson and “Wawanagguasick” between Claverack and Kinderhook Creeks: both were included in the definition of the Rensellaer Patent. 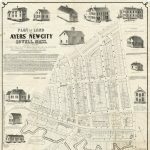 The map also locates the fortified towns of Albany and Schenectady, New York as well as Fort Dummer in Vermont and Fort Massachusetts in the northwest corner of that province, near present-day North Adams. Fort Massachusetts was constructed in 1745 during King George’s War as an outpost against French and Indian incursions and already abandoned by 1759, which suggests that the map should be dated to that period. The absence of Forts Edward and Miller, constructed along the upper Hudson at the outset of the French and Indian War in 1755, indicate that the dating should be further narrowed to 1745-1755. If we accept 1755 as a terminus ante quem for this map, then it can safely be said to depict the region in greater detail than any printed map of the period, and was not exceeded in this regard until the so-called “Samuel Holland” map of The Provinces of New York and New Jersey, published by Thomas Jefferys in 1768. Further, the map is representative of a transformative period in the cartography of New York: The conscientious and talented Surveyor General Cadwallader Colden, appointed in 1720, was the first to prioritize a more thorough surveying and mapping of land ownership in the province. Over time it became increasingly viable to compile these small-area survey maps into coherent and detailed maps of larger areas of New York, such as that by Bleecker offered here, though the project was not fully realized until Sauthier’s Chorographical Map of 1779. Though Bleecker was prolific, his work is all-but unobtainable on the market. Other than the present item and another Bleecker manuscript in my possession, I find no record of his surveys ever having appeared for sale. Bleecker was a scion of a prominent Albany merchant family and son of an Albany mayor. He himself was a merchant, politican, and experienced surveyor and mapmaker. His elected positions included Sheriff of Albany County (1746-? ), Alderman for Albany’s Second Ward, and very briefly membership on Albany’s Committee of Correspondence in 1775. I have found record of his activities as a surveyor as early as 1735, when he assisted Edward Collins in running the southern boundary of Rensellaerwyck. Thomas Pownall’s Topographical Description refers to Bleecker as Deputy Surveyor of Albany County and, on a different page, as Deputy Surveyor of the Province of New York, in which capacity he would have worked under the long-serving Cadwallader Colden and/or his son and successor Alexander. I have however found no other documentary evidence confirming that Bleecker held either role in the sense of a long-term, salaried position, though on at least one occasion it was proposed that he be deputized on an ad hoc basis. What is clear is that Bleecker’s work was prolific, far-ranging and influential. 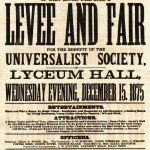 Whatever may have been lost in the fire of 1911, dozens of his surveys survive in New York institutions, most dated to the 1760s and 1770s. Of these the best known is his A Map of the Manor Renselaerwick (1767), which was later published in the Documentary History of the State of New York. While the majority involved property surveys in the Hudson Valley, he also produced maps covering regions as far afield as the Connecticut River Valley, the St. Lawrence Valley, and the territory controlled by the Five Nations of the Iroquois in central and western New York. 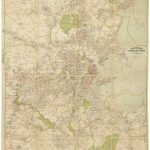 As discussed earlier this body of work was a valuable source for some of the leading mapmakers of the day, including Lewis Evans, Samuel Holland, Thomas Pownall and Thomas Jefferys. In fairness it should be noted that Pownall described Bleecker as “though a good practical surveyor being no Draughtsman.” This assessment is supported by the somewhat crude execution of the present manuscript, as seen for example in the “molehill” renderings of the Taconic and Catskill ranges. In all, an intriguing and extremely rare manuscript map from a formative period in the cartography of New York, by an important surveyor with connections to leading mapmakers of the era. The manuscript and another by Bleecker were purchased from a Shoreham, Vermont gentleman, to whom they had descended from his maternal grandfather James Earle Percy of Hoosick Falls, NY, a surveyor and engineer for the Walter A. Wood farm implement company. I was able to learn nothing about the manuscript’s ownership prior to Mr. Percy. A brief biography of Bleecker may be found in Nan Mullenneaux’s “John R. Bleecker” on the web site of the New York State Museum. Remarks on Bleecker as a cartographic source were found in Thomas Pownall (Lois Mulkearn, ed. ), Topographical Description of the Dominions of the United States of America and Lewis Evans, Geographical, Historical, Political, Philosophical and Mechanical Essays. The First. The New York Historical Society’s Letters and Papers of Cadwallader Colden yielded a few precious mentions of Bleecker’s activities. David Y. Allen’s The Mapping of New York State: A Study in the History of Cartography provided invaluable context as well as additional information on Bleecker. Thanks to Mr. Allen for commenting on an earlier version of this document. For a footnoted version of this document, please contact us at info@bostonraremaps.com. The map has been cleaned, mended, and re-lined with its early linen.